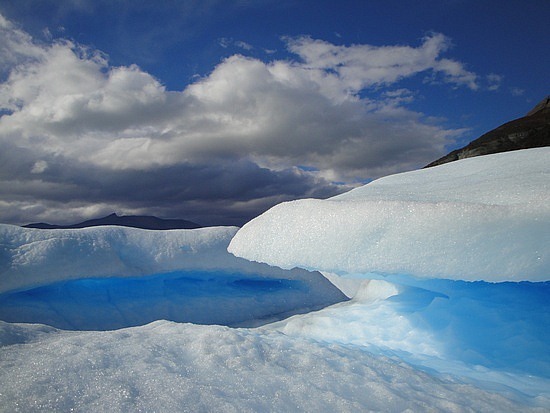 The glacier was named after the Argentinian explorer Francisco Moreno, who was born in 1852. Moreno discovered and explored numerous lakes and rivers in Patagonia and, inspired by America's Yellowstone Park, was instrumental in creating South America's first national park, the Nahuel Huapi National Park. 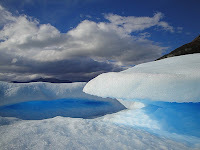 Perito Moreno Glacier was declared a Natural Heritage of Humanity by UNESCO in 1981.It is also considered the eighth wonder of the world because of the spectacular view it offers.It stands 80 meters (262 ft) tall and is 5 kilometers (3 miles) long. The Perito Moreno Glaciers in the province of Santa Cruz is without a doubt one of the biggest natural spectacles of the world. Every 3-4 years when the ice breaks, it creates a fantastic natural performance not to be missed.. 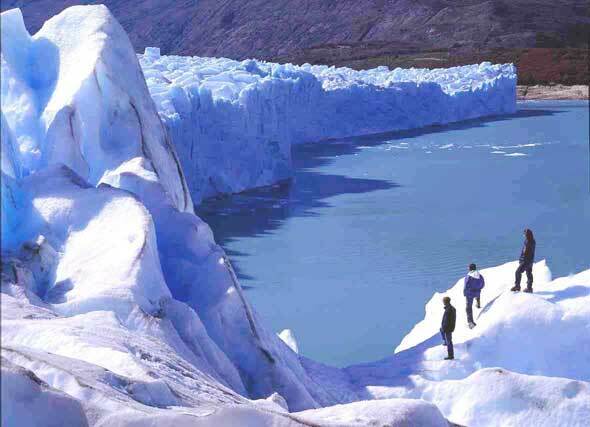 It is one of 48 glaciers fed by the Southern Patagonian Ice Field located in the Andes system Argerntina shares with Chile. It is the world's third largest reserve of fresh water. Photographers and film crews come from all over the world to Patagonia in southern Argentina to capture the event. 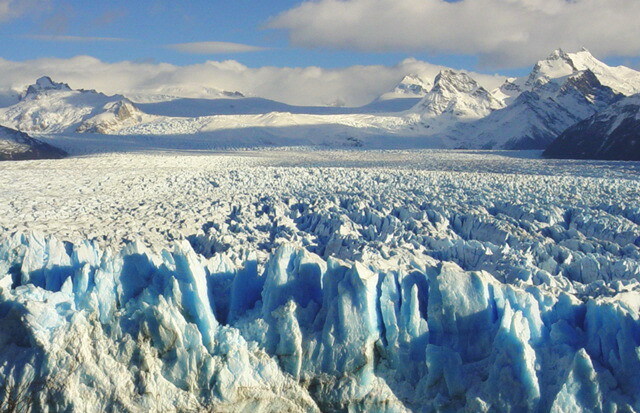 The calving of the Perito Moreno Glacier is one of the most impressive natural phenomena in the world. You can enjoy the thrill of seeing massive chunks of ice plunge forcefully into the water.